One big claim to fame that we had in the Smokies during, and definitely after, the Smoky Mountain holiday Winterfest was that we had the only place in East Tennessee to enjoy snow sports no matter what the weather was like outside at Ober Gatlinburg, but all that is changing with the advent of a pretty daring new attraction in Pigeon Forge – the aptly named “Pigeon Forge Snow” on Teaster Lane. 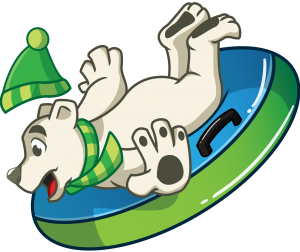 To put it in a nutshell, Pigeon Forge Snow is an indoor snowtubing establishment. That one laconic sentence though really does underscore what kind of impact that brings to our area, there’s nothing else like it in the city and Ober Gatlinburg’s snowtubing facilities only run from November to late February. Pigeon Forge Snow is not open yet, but the sheer novelty of the attraction plus its development close to where the Mountain Mile project is going underway has been making lots of waves in our local news and events. Pigeon Forge Snow will be open every day from 10:00AM to 10:00PM. For more information on this dazzling attraction, as well as keeping up to date on when it will open, visit https://pigeonforgesnow.com/.